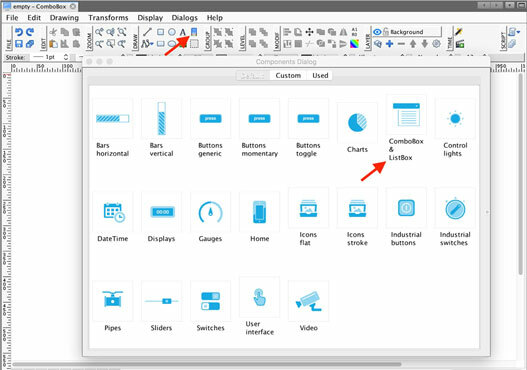 To insert a Combo box, list box or Text box into your view, please click on the Library icon and select the Combo box, list box and Text box category. 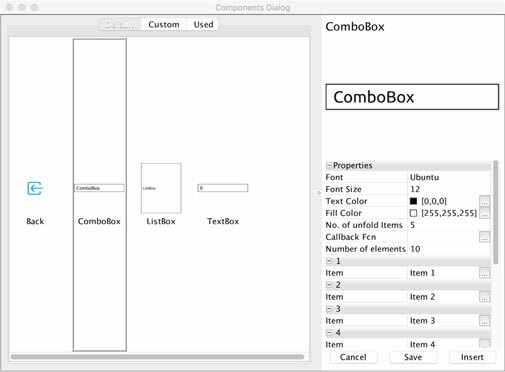 Then select a component, fill in the parameters (such as the number of elements) and click on insert. Now position your component to the view. 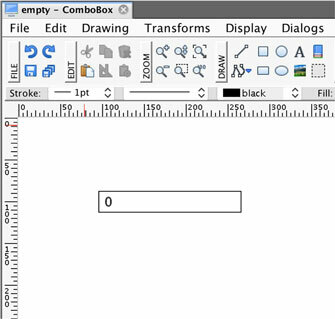 Tip: change the size of the component by dragging it to the desired size. Please use the horizontal and vertical sliders only.